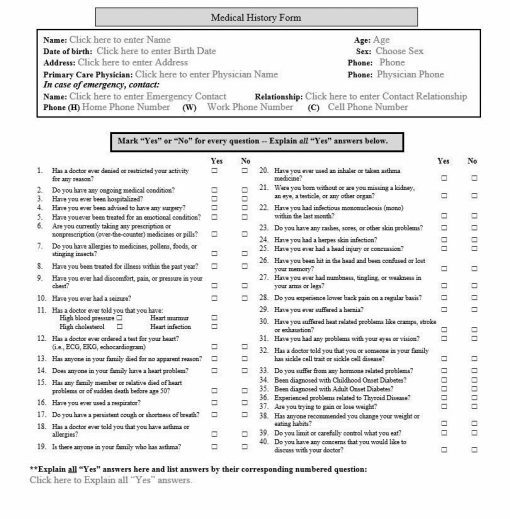 Medical History Form provides a single comprehensive source for a person’s past medical history. The information provided is confidential and should not be released without patient knowledge or written consent. Medical History Form helps in gathering a complete and accurate medical history. It is extremely important as genetic medicine explains more diseases. Several tools have been developed to aid both the physician/health care provider and the patient in documenting family history. If you or a member of your family has a medical emergency, the physician will need a complete medical history. 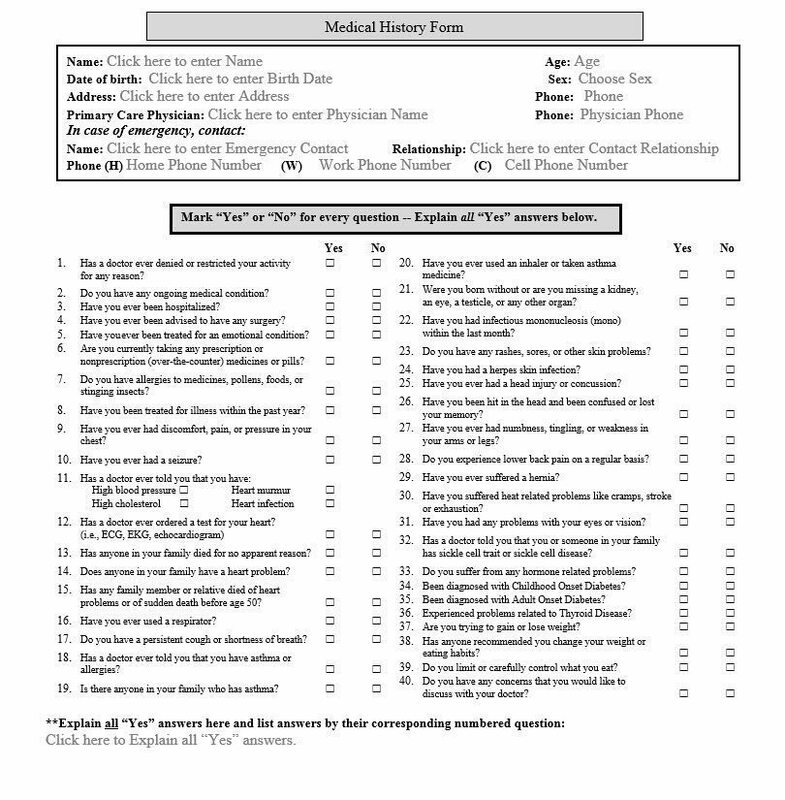 This form is convenient to use for documentation. You inherit half of your genetic profile from each parent. Along with the genetic information that determines your appearance, you also inherit genes that might cause or increase your risk of certain medical conditions. A Medical History Form can reveal the history of disease in your family and allow you to identify patterns that might be relevant to your own health. A family medical history can’t predict your future health. It only provides information about risk. Other factors — such as your diet, weight, exercise routine and exposure to environmental factors — also affect your risk of developing certain diseases.